Susan Avello is a native of Dothan, Alabama and a fellow Gluten-free intolerant! While living in Chicago Susan received a life-altering health diagnosis after experiencing almost a year or so dealing with digestive issues and extreme pain. She felt completely overwhelmed not knowing where to turn. It was as if her life (as she knew it) had come to an end. She didn't feel she had control of anything! She found herself depressed and angry, and as she put it "Could no longer eat the things she always loved. Especially bread and pasta." After all, she was married to an Italian from Chicago, for Pete's sake, that's all they ever ate! Over the course of 14 months and several attempts to try and alleviate her digestive symptoms with this pill or that, Susan's Primary Physician suggested she may have cancer and began stetting up referrals to specialists. Susan relates the story: "I stopped the Doc dead in her tracks and said, 'No now, wait just a minute. There has to be a better way. There has to be a connection to what I am eating and an alternate solution.'" She returned home to Alabama to meet with her Chiropractor/Kinesiologist Dr. Robert Carnes who tested her and found several issues relating to the digestive tract. He immediately changed her diet to remove all toxins and added whole foods, sustainable, organic and gluten-free ingredients while putting her through a few other natural treatments to which she remains today. The result? CURED 100% solely by changing her diet, exercising, ridding herself of the stress, toxins and chemicals in her body and going to a whole foods and clean eating lifestyle. She has regained stamina, increased energy, lost 35 lbs and gained a whole new outlook on life! SO YOU REALLY ARE WHAT YOU EAT? We at LEANBEANCHEF believe what we eat contributes to the WHOLE person (mind, body, soul, and spirit). It is all connected. Our goal is to help others struggling with busy lifestyles, issues with weight, stress, poor eating habits, those with food allergies or a health diagnosis, those with zero time left at the end of the day - prepare healthy and nutritious food. We want to help YOU transition from dread and hopelessness to having purpose, getting back on track and having a renewed sense of hope. To becoming a beautiful (inside and out) whole being, as intended. Chef Susan has extensive knowledge and experience in fine dining and gourmet cuisine. She is passionate in exploring a Feng shui of gastronomic culinary delights and an array of food cultures. Her specialties include Raw diets, Gluten-free, Paleo, Vegan and Vegetarian but can accommodate most any client's need. Our Chefs build relationships with local farmers and whenever possible utilize fresh, local, seasonable, organic and sustainable ingredients. 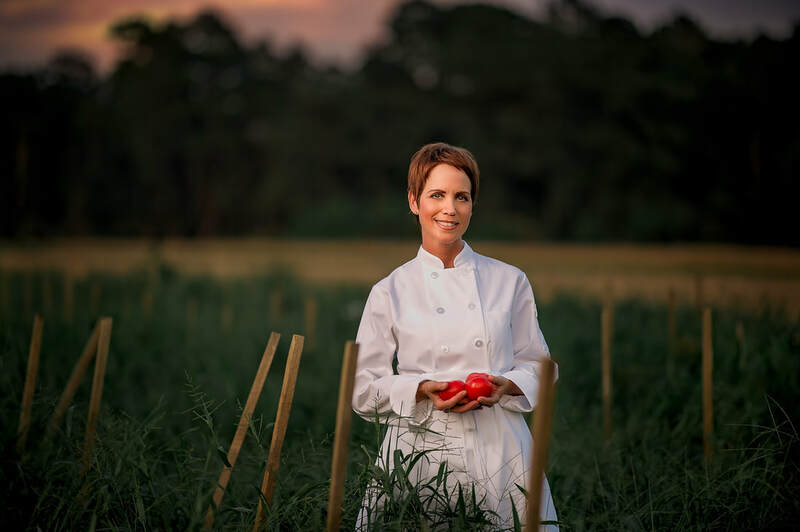 Our goal is to provide our clients with the healthiest meals made from fresh, local ingredients, while supporting the farming families and agriculture within the local Wiregrass area, which in turn boosts the local economy. Call us at 334.400.9000 for a complementary consultation today!